Welcome to the Director’s Page where Director Fultz will share messages that are important to him and the focus of his efforts within the Arizona Interfaith Movement. Did you know that while visiting churches in Central America in 2000, in countries devastated by war and earthquakes, Larry and his interpreter were kidnapped by guerrilla fighters and held for ransom? Thanks to the work of many faith organizations their release became possible. Rev. 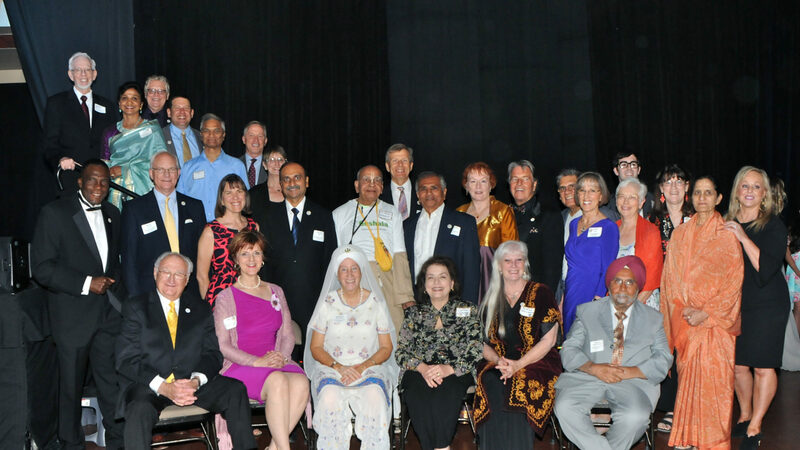 Fultz is no stranger to AZIFM having been a member of the Arizona Interfaith Movement from its very beginnings in 1995 and serving on various boards and committees even up to the present time. After receiving his BA, Masters in Theology and Masters in Counseling Rev. Fultz became an ordained minister in 1969 and before retiring in December 2005, he served several congregations in the States as well as abroad as pastor and consultant. For many AZIFM members and friends, Larry is known as the videographer of the Golden Rule Awards Banquet whose warm personal touch brought to life the many stories and deeds of each awardee. Larry’s life is rich with interfaith activity and experience having been a part of the beginning of the InterFaith Action Coalition of Arizona (AZIFM’s prior name). He participated in the first “Experience Interfaith” event as a speaker and participant. He was active in helping organize and produce the first “Voices of Faith” concert and those afterwards. He was present in 2003 when the declaration was granted to make Arizona the First Golden Rule State in the Union. He participated in the campaign for the “Live the Golden Rule “License Plate and was present at the signing of the bill. Larry participated in the Interfaith Habitat for Humanity building project in Phoenix and has appeared on radio and television as part of the Arizona Interfaith Movement’s Speaker’s Bureau. In 2002 he participated in the United Nations Committee of Religious NGO’s to go to Kosovo, Macedonia and Albania to aid the Muslim refugees in their plight, helping build refugee camps, counseling and education. Larry’s life work has been devoted to bringing peace, understanding and the love of God to all people. He is married to Lily Fultz and together they have 6 children serving around the world, 8 grandchildren and 1 great-grandchild.